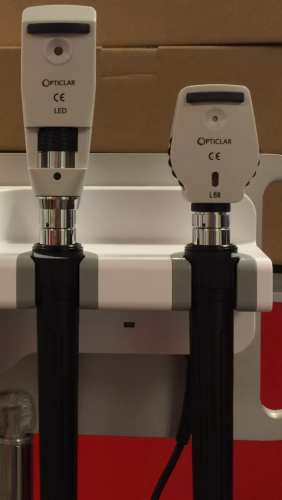 Opticlar is well placed for use in Optometry, as proven by their recent introduction at key UK Universities. Lecturers, department heads and technical staff report that the new Opticlar systems are performing fantastically well and the students are finding them easy to use. The reasons for this are clear..
Opticlar only use the very best LED illumination sources across the full range of instruments, providing clear, homogenous illumination with excellent colour-rendering properties. This is matched by a class-leading power source performance and well-designed instruments, packed with all the features demanded by a practicing Optometrist or trainee student. The AL68 Ophthalmoscope provides a diverse range of features including a full aperture set, 68 lens range, red-free (green) filter and polarizing filter. It is also ergonomically shaped for the eye and the hand, making it comfortable to use and reducing hand-strain, during longer clinical sessions. The Opticlar Retinoscope provides a clear reflex, using either the streak or spot illumination source, both fully interchangeable in seconds. Control of the light is smooth and uncomplicated, with rotation and convergence / divergence of the beam on a single control. 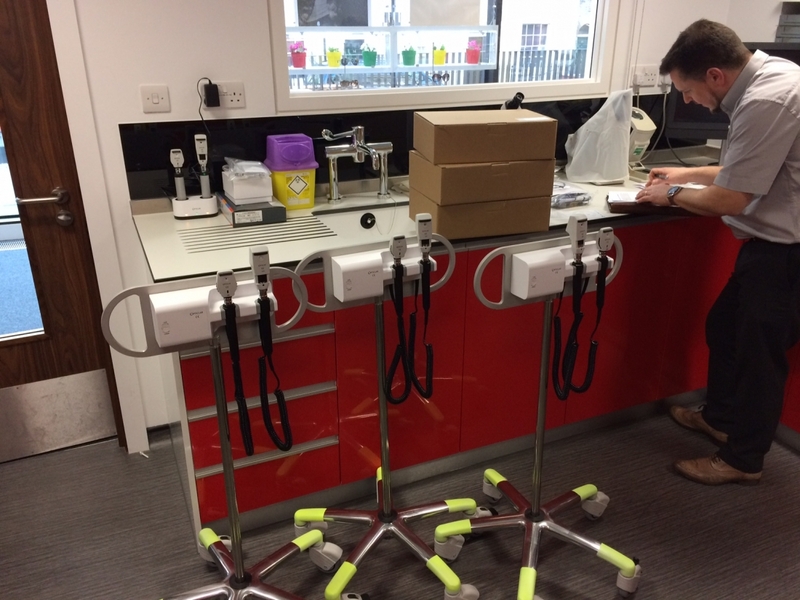 For the purposes of flexibility, Opticlar have supplied the new Orbit (Series 2) Mobile Units, in a twin handle version with AL68 Ophthalmoscope and Retinoscope for use in the Universities. This system provides complete portability, with a set of C batteries powering the LED’s for in excess of 100 hours. 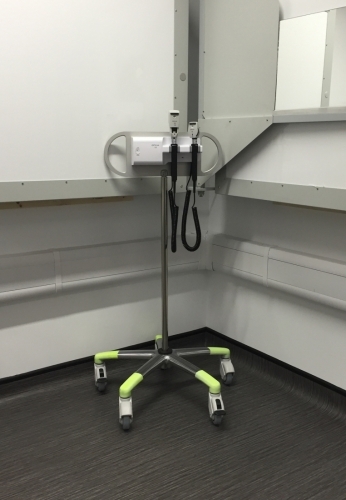 The trolley bases are stable and can be moved easily between clinic rooms or bays as required. Opticlar – part of the new City Sight Centre, City University. Officially opened in January this year, the new City Sight Clinic in Northampton Square, London has some of the very latest equipment and innovations in Optometry. Opticlar units are situated in the Paediatric unit bays and are already in regular use. They even look great, with the photo-luminescent legs being a perfect match for the colour scheme of the department!